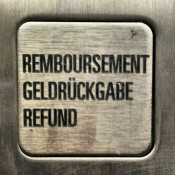 Should WordPress Plugin Developers Offer Refunds? If you’re a commercial plugin developer, one of the things you’re bound to come across sooner or later is a refund request. You’d do well to decide from the onset what your policy on refunds is going to be. In this post I will take a look at the 3 most popular policies that I have come across, and my thoughts on each.